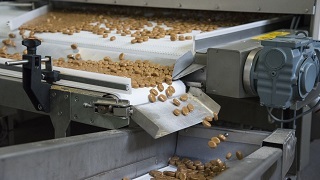 Baker Perkins’ ServoForm™ Mini depositor sits at the heart of a manually operated production line capable of producing deposited candies, jellies, toffees and lollipops – including high-value medicated or functional products – at piece weights ranging from 2g to 16g. 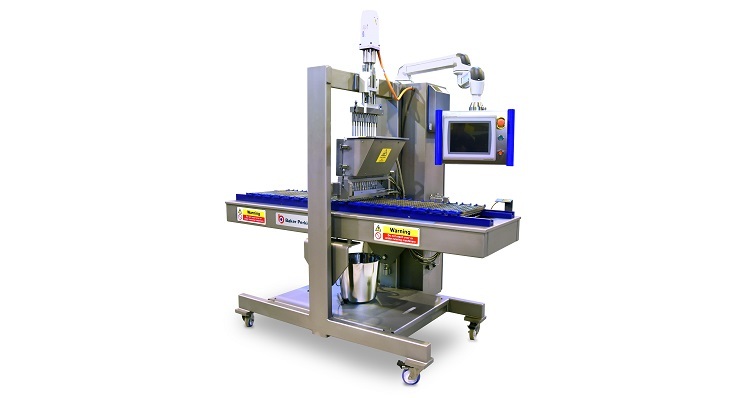 The ServoForm™ Mini is a servo-driven, short run confectionery depositing system designed for entry-level operations or experimental and development work in larger operations. 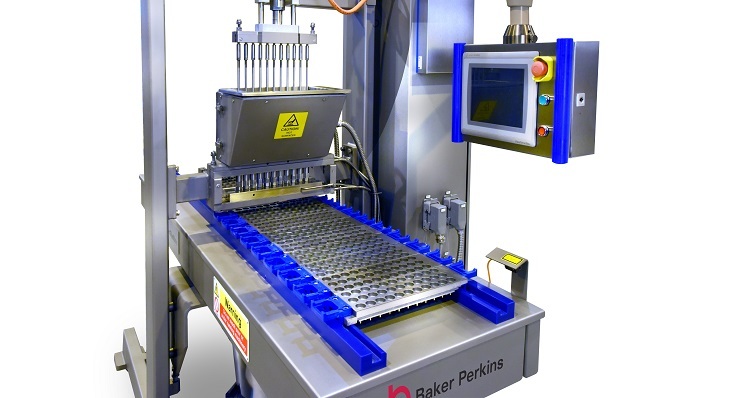 Based on Baker Perkins’ proven ServoForm™ depositing technology, the ServoForm™ Mini deposits a high quality, smooth product with a consistent size and shape, and high piece weight accuracy. 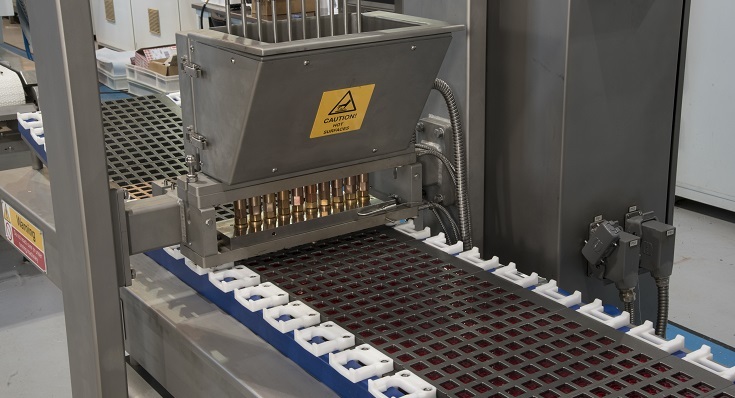 Moulds are manually loaded onto a continuous indexing mould conveyor; the moulds then pass through the depositor and are manually unloaded for cooling and demoulding. The ServoForm™ Mini features an electrically heated hopper suitable for single colour products; a second hopper can also be incorporated for two colour or centre-filled products. PLC controls incorporating full process visualization, recipe management and alarm handling provide complete control of the depositing process. 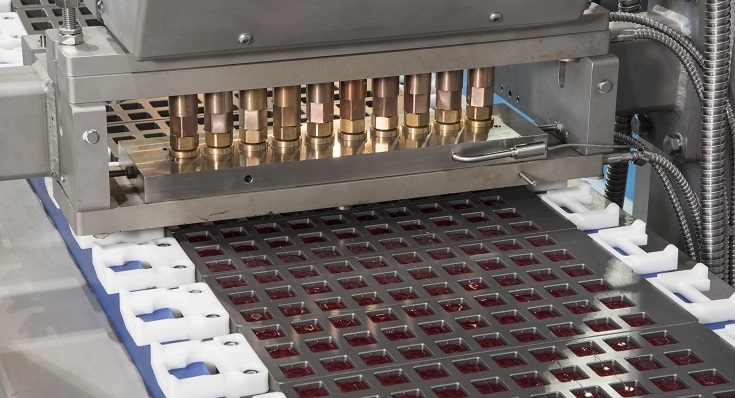 The hygienic nature of the ServoForm™ Mini makes it ideal for production to validation standards for healthcare products. 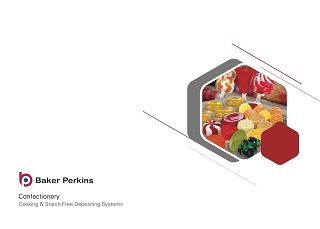 As well as being capable of validation, Baker Perkins’ starchless depositing technology brings high standards of quality, convenience and hygiene to healthcare confectionery production, eliminating the time and cost penalty of the traditional starch process. Low scrap rate, quick product changeovers and continuous processing mean a rapid payback is assured. Outputs are subject to product formulation & test in the Baker Perkins Innovation Centre with clients' ingredients. Product quality is subject to raw materials used. Cooling / setting time will vary by product type, piece size and mould type. Guidelines are between 5-6 minutes for hard candies in metal moulds, and between 10-20 minutes for caramels or pectin based jellies in silicon rubber moulds. Gelatine based jellies will require over 30 minutes before being manually ejected. The filled moulds can be laid out on a table, placed in racks or on a conveyor. Ideally the temperature and humidity in the cooling area should controllable to around 20°C for hard candies and 10°C for caramels and jellies, with RH below 60%.